DJI Mavic Air tiny yet capable drone leaked! Home / cameras / dji / news / DJI Mavic Air tiny yet capable drone leaked! DroneDJ, a drone enthusiast just shared some details regarding DJI's upcoming very exciting mini drone, the Mavic Air! 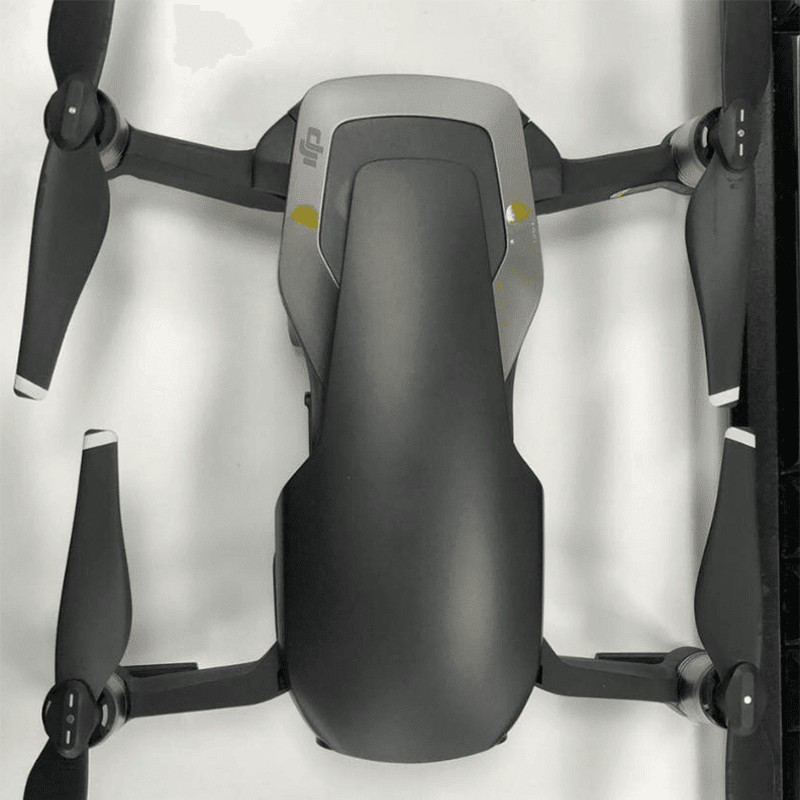 Based on the leaked details, the Mavic Air has foldable legs like the Mavic Pro and its overall body looks like the tiny DJI Spark. Related: DJI Mavic Air foldable drone now official! In front, there's a 12MP camera with three-way gimbal that's capable of recording in 4K quality. Therefore, it will be an upgrade versus the 1080p video recording quality of the small DJI Spark. It will also have the usual obstacle-avoidance sensors all over the back, front and bottom. Reports also stated that the drone comes with a Visual Positioning System (VPS) with machine learning for better flying indoors. It works like the indoor version of GPS. The drone is also reported to be controlled entirely with gestures or a phone app, can fly up to 21 minutes, and could retail for just USD 699 (around PHP 50K). If ever this report is true, then drone fans could be in for a treat.